Test CABO DE OBRA SI COLOCARA A UN APRENDIZ CONTIGO, PARA QUE LO ENSEÑES,¿COMO LO EVALUARÍAS? SI COLOCARA A UN APRENDIZ CONTIGO, PARA QUE LO ENSEÑES,¿COMO LO EVALUARÍAS? 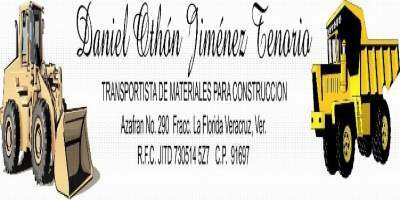 ¿CUAL ES EL DOCUMENTO DONDE VIENE IMPLÍCITA LA INFORMACIÓN TÉCNICA DEL PROYECTO A EJECUTAR? ¿CUALES SON LOS AGREGADOS NECESARIOS PARA HACER CONCRETO? ¿CUALES SON LOS AGREGADOS NECESARIOS PARA HACER MORTERO PARA APLANADO EXTERIOR? CUALES SON LAS HERRAMIENTAS DE MANO PRINCIPALES PARA UN OFICIAL DE ALBAÑILERÍA? ¿CUANTOS BULTOS DE CEMENTO SON LOS NECESARIOS PARA 1 METRO CUBICO DE CONCRETO DE 250 F´C? ¿CUALES SON LAS ACTIVIDADES PRINCIPALES DE UN OFICIAL FIERRÉRO?
. CORTE Y HABILITADO DE ACERO DE REFUERZO, ARMADO DE ACERO PARA ZAPATAS, TRABES, CASTILLOS Y CADENAS.
. CIMBRADO Y DESCIMBRADO DE TRABES, ZAPATAS, CASTILLOS Y CADENAS.
. COLADO Y HABILITADO DE ZAPATAS, CASTILLOS, TRABES Y CADENAS. ¿HAZ TENIDO QUE RESOLVER ALGUNA VEZ UN PROBLEMA IMPORTANTE SIN CONSULTAR CON TU SUPERVISOR?
. SI, SE HA RESUELTO SIN MOLESTAR AL SUPERVISOR. ¿CUALES SON LOS ELEMENTOS CONSTRUCTIVOS UTILIZADOS PARA CIMENTACIÓN? ¿QUE ES UN CABO DE OBRA?
. EL CABO DE OBRA ES LA PERSONA ENCARGADA DE LIDERAR AL GRUPO DE OFICIALES Y AYUDANTES DE LA OBRA, Y TIENE CONOCIMIENTOS PARA INTERPRETAR UN PLANO Y PROCEDIMIENTOS DE CONSTRUCCIÓN Y SEGURIDAD EN UNA OBRA, SU LABOR SE DESARROLLA EXPRESAMENTE EN CAMPO.
. ES QUIEN REALIZA LOS TRABAJOS AUTORIZADOS POR EL SUPERVISOR O RESIDENTE DE OBRA.